Google are rolling out Local Services Ads in the US and are expected to launch the service in the UK in the coming weeks. 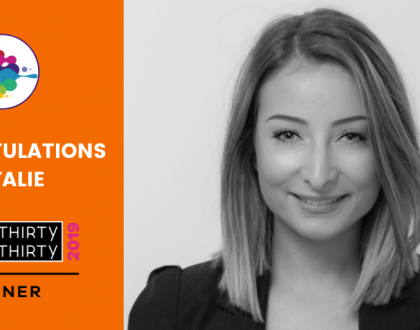 Our new digital executive, Beth, has been following the progress of this development for a number of months and can’t wait to get started with the platform. Google is the go-to place these days for all types of searches – from “what is bitcoin” to “how to make beef bourguignon”. But it’s also the first place most people look when they’re looking for a tradesman and some savvy plumbers, roofers, etc. Some of the more savvy business owners are already getting their businesses listed in the results but many will struggle to convert potential leads with just text ads. So Local Service Ads are definitely going to get these businesses excited. 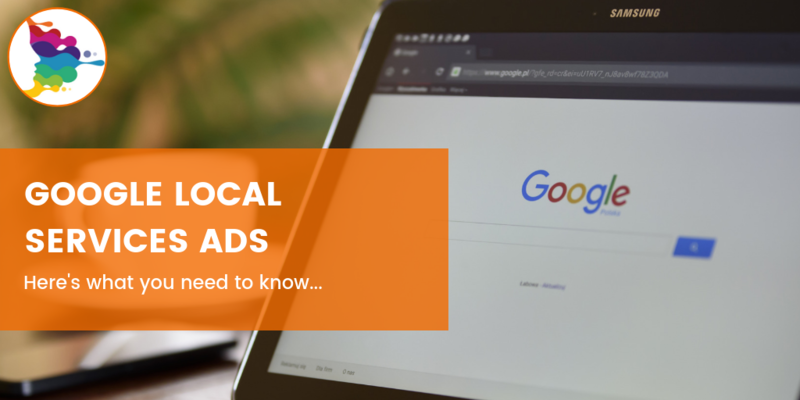 What’s different about Local Services Ads? Local Services Ads allow small businesses from specific sectors, such as locksmiths, plumbers, electricians, etc. 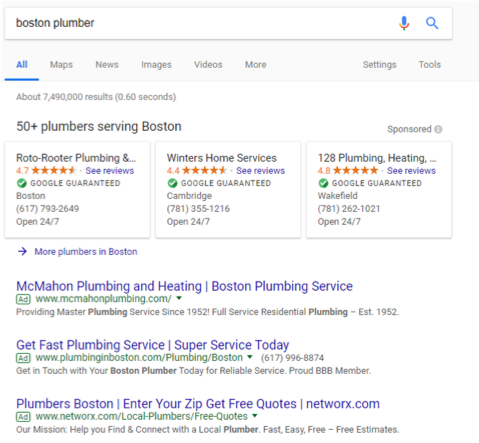 to advertise their business on Google in a new position, right above the usual paid search ads. Like the Google My Business listings, these new ads will show a business number, opening hours, ratings and reviews, but Google have gone the extra mile to make sure searchers are being connected to the right business for the job by prompting the ‘clicker’ to confirm the type of job and their location – all part of the information businesses need to fill in before listing their ad. Advertisers pay per lead – not per click. Payment is based on leads generated in the form of calls and messages sent through the ads. Then the business or tradesman can reply, track bookings and manage their leads online or via an app. Google price each lead based on the cost of the job and the demand for it in your area and these prices are given up front, meaning you know the costs before signing up. And just like Google Ads, you can set a weekly budget according to the number of leads you’d like to receive. 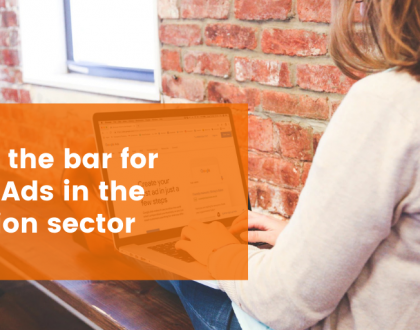 If businesses had any scepticism about advertising their business before, this is bound to make them feel more confident because they’ll only be paying for a qualified opportunity that could lead to more work. What should I do until Local Services Ads are launched in the UK? There’s been no official launch date from Google just yet (not one that they’re telling us anyway) but its success across the pond suggests that it’s going to be soon. In the meantime, I’d recommend any tradesman to get their Google My Business profile up to date (you’ll need this info for your Local Services listings) and, if you’re not already, build up your positive reviews. If Google launch it, we’re aware of it. 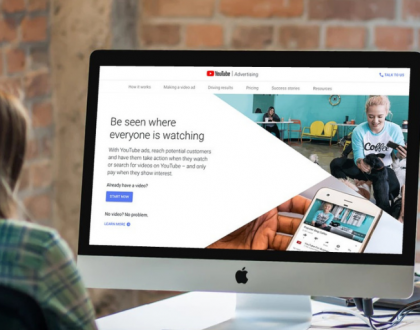 Our top-level support through the Google Partners programme means we’re always able to deliver the best campaigns for our clients across digital media. So, drop me an email bethany.fell@forwardandthinking.com and we’ll get you set up ready for when Google launch this new service.